As a consumer, which would you prefer: watching a video of actor and martial artist Jean-Claude Van Damme do the splits between two heavy haul trucks moving in reverse, or read a white paper about the latest in motor vehicle steering mechanisms? Volvo Trucks bet on the former and successfully demonstrated the precision of its dynamic steering system through an award-winning video that has generated 78 million views. The brand wasn’t targeting consumers, but transport companies. So why make a B2B ad that looks like B2C content? The answer is simple: B2B clients are consumers, too . In their haste to produce marketing messages that demonstrate the value of their products and services, many companies default to the text-heavy, jargon-loaded, spec-focused content they relied on in the analog days. B2B marketers, however, are just as hungry for engaging messaging as their B2C counterparts and deserving of content that’s driven by utility and enjoyment. Why should consumers have all the fun? Increasingly, B2B brands are taking this maxim to heart. Last year, Microsoft ramped up its content with Microsoft Stories, a site offering a journalistic look at the employees and products that make up the tech company. It’s brand storytelling at its best because it captures not only the company’s expertise, but also its passion. Recently, the Content Marketing Institute and MarketingProfs reported that social media, email newsletters, site articles, blogs, and video remain the most popular content marketing tools among B2B marketers. All afford the opportunity to get a little creative. B2B brands that put a compelling twist on their content stand to reap the benefits. Given that experts say 80 percent of B2B buying decisions are made before a customer contacts a company, good content is a critical early touch point and important not only for increasing company awareness but building brand affinity, too. Last fall, content management system Squarespace (which recently garnered attention for its memorable Jeff Bridges Super Bowl ad) partnered with social merchandising company The Hundreds to support a traveling street art online documentary series about graffiti artist Hanksy. Called “Surplus Candy,” the videos ran on YouTube and were promoted on the Squarespace Facebook page. They took viewers to such cities as Montreal, Detroit, Philadelphia, and Austin—and reflected Squarespace’s trendy vibe in the process. Where entertaining its customers is concerned, MailChimp is also coming out ahead. In 2013, the email marketing company created an online comic strip to celebrate the anniversary of its Mandrill email infrastructure product. The concept grew into a monkey-themed series. 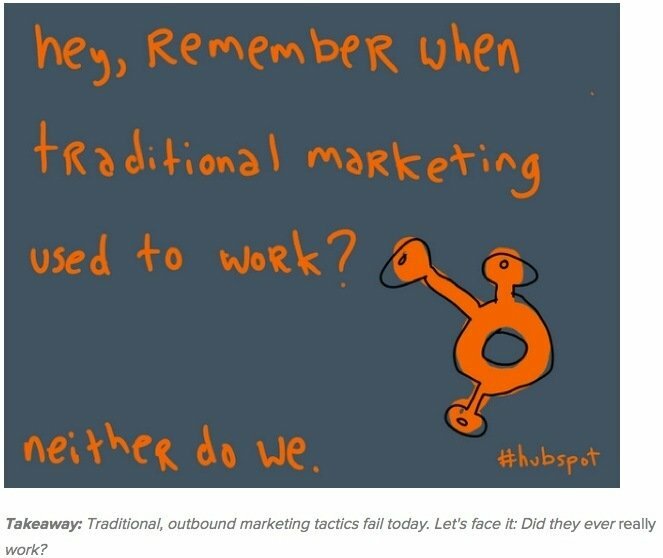 Inbound marketing may not seem like the kind of business that requires a cartoon supplement, but Hubspot is another B2B brand that has created comic strip content. Through visual “social objects,” the company managed to capture the essence of inbound marketing and demonstrate the value of its products. To make the most of the comic strip format, B2B copywriters from Radix Communications recommend keeping the copy to 25 words per speech bubble, and encouraging the artist you’re working with to convey the key aspects of the story through pictures rather than scripted content. Chango takes a similar approach for our customers, because we’re proponents of pairing useful information with an enjoyable brand experience. We joined consumer brands like Net-a-Porter, Airbnb, and Red Bull last year and launched a quarterly print magazine. 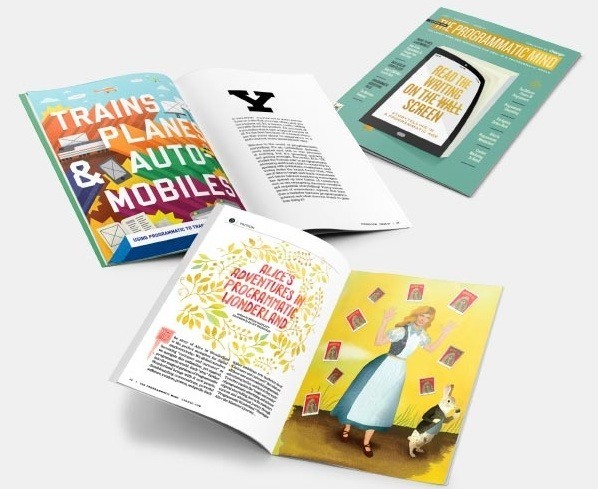 The Programmatic Mind educates marketers and explores programmatic advertising trends. Like Microsoft, our adoption of a storytelling approach allows us to focus on what’s really important: the industry information you need to know. Even when the workday’s done, our content has you covered with Marketers Against Marketing. 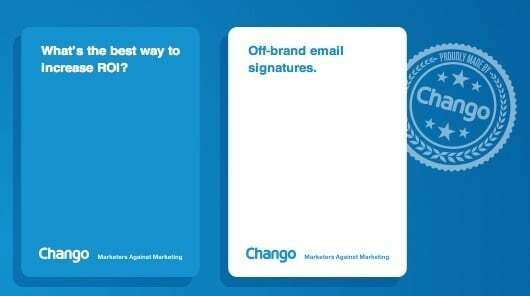 A riff on the ultra-popular party game Cards Against Humanity, it’s a look at the marketing world—buzzwords and all—that only an insider can understand. The ultimate content marketing goal of B2B companies everywhere should be to support their clients by giving them the tools and resources they need to do their jobs well. 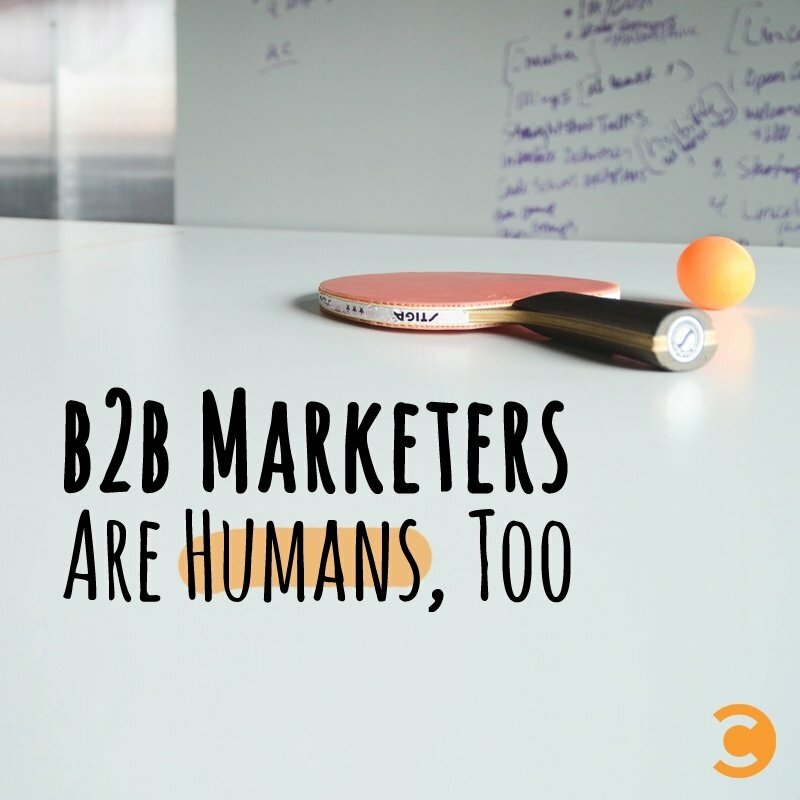 The way to do it is to acknowledge that all marketers are human, and deliver content that marries functionality with fun. Bryan is Senior Marketing Manager at Chango and Editor in Chief of The Programmatic Mind.